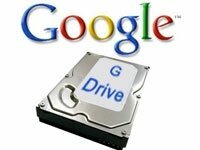 Remember the mythical GDrive from Google? 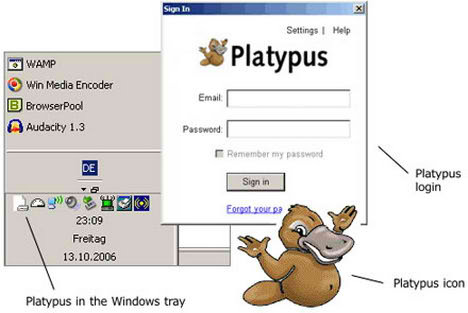 Or gDrive, who knows. Anyway, there have been more rumors on this application than anyone can recall. Rumors have a way of capturing our imagination, no? So it appears GDrive is here. Kinda. Just don’t call it that, as Michael Arrington says. 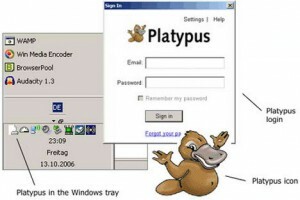 (Or “Platypus,” the rumored internal code name. It had to have been real- note the cute logo. Everything has a cute logo at Google.) Here’s a snippet of his interview with Google Docs product manager Vijay Bangaru. “This is not GDrive” said Bangaru yesterday while showing me something that sure does look exactly like the fabled GDrive. Bokay. You say tomayto, I say tomahto. Pretty soon, you can send anything to Google Docs, under 250MB. Video? Fine. Music? Sure. It’s gonna roll within the next few weeks. Now, how long will it take to upload 4,800 iTunes songs?